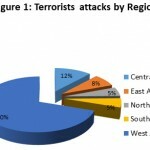 The African Centre for the Study and Research on Terrorism (reffered to here as the Centre) has been established in accordance with the provisions contained in Section H, paragraphs 19 to 21, of the African Union Plan of Action on the Prevention and Combating of Terrorism in Africa, as well as the relevant decisions of the political organs of the Union, in particular the following: Assembly/AU/Dec.15 (II); EX.CL/Dec.13 (II); EX / CL/Dec.82 (IV) and EX/CL/Dec.126 (V). 2. The Center has been established as a structure of the Commission, under the Protocol to the OAU Convention on the prevention and fight against terrorism, which entrusts the African Union’ Peace and Security Council with the responsibility for implementing the regional, continental and international tools for combating terrorism, and for harmonizing and coordinating efforts. 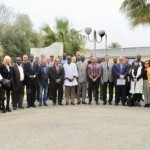 The headquarters of the Center will be in Algiers, Algeria. Once the center is operational, the African Union will sign a Headquarters Agreement with the host country in accordance with the practice, the principles of the African Union and the international rules on the matter. (v) Develops its own program of studies and activities and its budget for each fiscal year, in consultation with national focal points. The Center’s goal is to help strengthen the capacities of the African Union in the areas of prevention and fight against terrorism in Africa, and the final objective is the elimination of the threat it poses to peace, security and to the development of Africa. In this regard, the Center will centralize information, studies and analysis on terrorism and terrorist groups, establish training programs and organize, with the support of international partners, training programs, meetings and symposia. (xiv) To submit to the President of the Commission, annual activity reports for consideration by the legislative organs of the African Union. Such reports include the activities of the previous year and the budget for the planned activities of the next fiscal year. 2. The Center may also have to perform tasks that could be requested by the African Union Commission or the Peace and security Council in the area of prevention and fight against terrorism in Africa. 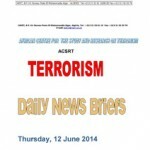 collection and dissemination of information and data relating to terrorism. (iii) Comply with the academic codes of conduct and ethics governing research and analysis. 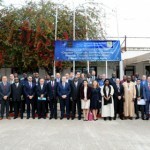 preventing and combating terrorism in Africa. 1. The Center will be headed by a Director. The latter will report to the President of the Commission through the Commissioner for Peace and Security. The Commission will develop an organizational chart and a detailed structure for the Center. The organizational chart and structure will be presented to the relevant decision-making bodies of the African Union for consideration and approval. 2. The Center will have a library and technical and electronic equipment (software and hardware). 3. The Center will be staffed locally and internationally. The staffing of the center will be governed by the Rules of Procedure of the African Union. (iii) Make recommendations to the President of the Commission on the ways to bring the Center to maximum performance. (ii) The Center prepares its annual budget and submits it to the African Union Commission for consideration and approval by the relevant decision-making bodies of the Union. Conditions of work and terms of service, including the remuneration of the staff of the Center, will be based on the African Union Rules and regulations.